Tuck one in your pocket to feel the earth's energy all day. We live on a planet that is alive with natural energies and subtly pulsating frequencies caused by "free electrons." Walking barefoot on the Earth, as humans have done throughout history, naturally discharges electrical stress from our bodies by facilitating the reception of these free electrons up into our system. The free electrons on the surface of the Earth are easily transferred up, into, and throughout our body as long as there is direct contact with the ground. These electrons restore our body's natural internal electrical stability and rhythms, which in turn, promotes normal functioning our body systems. This process remedies an electron deficiency, which in turn reduces inflammation (a common cause of disease.) It shifts the nervous system from a stress-dominated mode to one of calmness. By reconnecting to the Earth, you enable your body to return to its normal electical state, which makes you better able to self-regulate and self-heal. •Diffuse the inflammation and improve or eliminate the symptoms of many inflammation-related disorders. •Reduce or eliminate chronic pain. •Improve sleep in most cases. •Lower stress and promote calmness in the body by cooling down the nervous system and stress hormones. •Normalize the body's biological rhythms. •Thin blood and improve blood pressure and flow. •Relieve muscle tension and headaches. •Lessen hormonal and menstrual symptoms. •Dramatically speed healing and help prevent bedsores. •Reduce or eliminate jet lag. •Protect the body against potentially health-disturbing environmental electromagnetic fields (EMFs). •Accelerate recovery from intense athletic activity. The concept of earthing rocks came to me in segments, first I watched a movie called The Secret on netflix, in the movie one of the men said he had a gratitude stone and he would hold the stone in his hand and think about something he was grateful for and suddenly he would feel better both physically and mentally. I thought humm that sounds interesting so I picked up one of the rocks from my countertop bowl of stuff and put it in my pocket.. I told my cousin about the rock and she said she had a instructor that believed rocks had energy and she would energize them by laying them out in the sun.I did not really have a place to energize mine so i sprayed magnesium on it and rubbed in some magnetic red clay. Sure enough for the next few days I would hold onto the stone and be grateful and amazing enough I would feel better. energized even. While visiting a friend with a large cancer tumor I actually gave him my rock! Now the next day before leaving the house I thought Oh I need a rock..well my little counter bowl had no rocks left but a marble with a smiley face, and I thought rock, marble what's the difference and slipped it in my pocket. Try as I might I never got the gratitude feeling all day from the smiley marble so that night when I came home I started to do some research and came across the EarthingInstitute.org They talk about all the "dirty energy' we are bombarded with on a daily basis, the energy from our computers, TV's, appliances, electrical wiring, ect. They talk about how a person can ground themselves by walking around outside barefoot and they sell a grounding pad to sleep on. They talked about how the electrons in the earth help our immune systems and our whole body work better as nature intended us to touch the ground. Now I have for many years been investigating natural health remedies and have created a website called cancerbullet.com and I would like to say that I am not a scientist or even a health professional just a housekeeper who sees a lot of sickness, I have a lot of curiosity about this because I'm 57 and I remember a time when people were not so sick, I remember my grandparents and friends grandparents living into old age without taking medicines and going to the doctor every week. I have even asked health professionals that I have worked for about this always to get the same answer "people live longer now". While statistically that may be true it has always seemed to be an incomplete answer. The earthiinginstitute.org also mentioned that we as a country started wearing different shoes in the fifties and sixties substuting leather and suede for plastics and rubber so we are no longer grounding ourselves by touching the earth. I guess if you have a lot of spare time, live out in the country, or have your own yard walking around barefoot is a great idea, but I live in an apt complex where dogs are allowed and the idea of walking around outside barefoot is not too appealing but I can certainly carry around a rock in my pocket. I like the feeling of my rock I can feel the energy it gives off and it makes me feel better I soak mine in magnesium chloride and rub it down with edible red clay which seems to me to give it more energy. This is how I came up the the idea for EarthingRocks.com I would like to share both my earthing rocks and other ideas for good health. Each earthing rock is hand soaked with magnesium chloride dried and placed in a small bag with the magnetic red clay and ready your use try putting it on a sore shoulder or laying back with it on your forehead at night to relieve a headache*. and also it would not hurt to turn your mind to something you are grateful for instead of worrying about work, money or the kids. *Please remember I am not a health professional or a scientist and to always check with your doctor before trying something new. and watch for our alerts on the right side of the page. Best wishes to you and your good health. **A woman, 25 yrs who had been in a bad car accident now with screws in her back complained of pain in the metal areas that she had not experienced before while she had a rock in her pocket and one in her sock, said the pain just disappeared when she took the rocks out. **A woman who is on blood pressure medication used the rocks for several days in her pocket and sock and checked her blood pressure only to find it was way lower than it should be now her blood pressure medication will have to be adusted.. so be careful and talk to your doctor if you are on medications you might find your medications need to be adjusted too. My grandson said his phone quit working when he had the rock in his pocket with the phone. 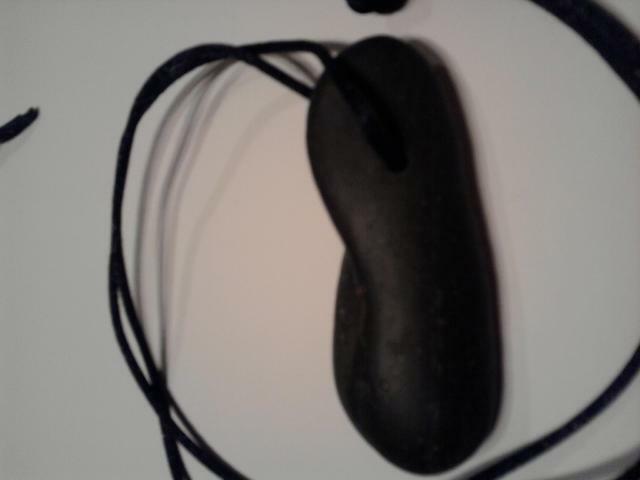 EarthingRocks are an experiment from my own personal use I know that they are powerful and I need to caution people who have medical devices in their bodies and also devices in the pocket. There have not been any tests done with these rocks, and we are looking for volunteers to try them and give feedback. I had a stuffy nose yesterday I used my old remedy of a few drops of peroxide in the nasel passages it worked good but not all the way so when I went to bed I layed my earthingrock up against the side of my nose and within seconds I felt an electrical tingle and my stuffy nose cleared up... Yea! I did a magnesium oil footsoak because my elbow hurt, I was thinking about this, this afternoon, everytime I get a pain I always do a magnesium footsoak. I think that's why the foot has the part called sole... So the sole is the bottom of the foot the part which touches the earth or in my case the earthingrocks... No wonder they feel so good, and with a magnesium oil ( it's a heavy salt brine) footsoak I get the salt and the earth. My blood pressure was 113/62 today. Yea! Got a great report this morning from man going through alcohol withdraw he said he keeps rubbing the rocks and feels better! Another: I have lung problems from being in cleaning chemicals and smoking all my life, I put a rock on my chest at night and no longer cough when falling asleep. I have put a pile of rocks in a pillowcase, which make it easy to keep the earthing rocks in the correct position for my feet. not only are they cool to the touch which is wonderful for a fifties woman I have felt much pain relief in my knees and also a lot less joint pain in my thumbs. I had the flu week before last terrible stuff, hit like lightening, I took it for a few min then thought I'm going to put my feet on the rocks Amazing.. within seconds the scary symptoms were gone, I still had a fever of course and weak as heck had to take 3 days off my cleaning business. But even though sick I was in control not the pain. 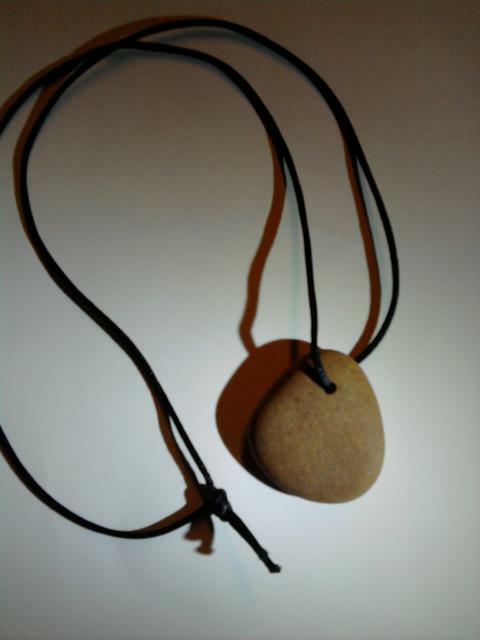 I am hearing great reports from people who are using earthing rocks. More energy is the most common. My grandson who plays a lot of video games yesterday complained of feeling warm and headache.. first thing I did was go get the earthing rocks in a pillowcase, and put his feet up against them, within a few minutes he was up and feeling better, I think he just needed to discharge some video energy. Set of (2) 2"-3" EarthingRocks energized with magnesium oil, and magnetic clay With 1 oz container energizer mud. Try one earthing rock in the side of your sock next to the ankle bone, tuck one in your pocket. I like tying the earthingrocks 20 pack in a cotton pillowcase. I lay the pillowcase on my sore knee, over worked elbow, or sore neck, and love the feel of the pain slipping away. The earthingrocks pillowcase also works well under my feet at the end of a long day. I also use the pillowcase rocks when I have an upset stomach. It's true the energy from the rocks transfers to my body right through the cotton pillowcase. Click on the foot chart to the right and remember all nerves lead to the feet. Get to know your earthing rocks rub the enclosed clay and magnesium oil into the imperfections in your rocks notice the coolness and how they warm up and hold your body heat. I'd love to have some feedback so. Please pay attention to how your body reacts to the rocks and let me know what you think. 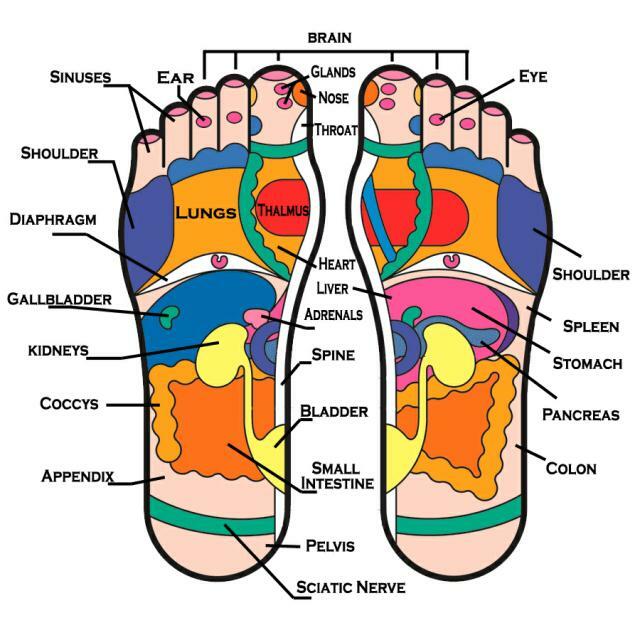 Nerves to all the major organs in our bodies lead to the soles of our feet. So is it any wonder that part of our body is called the sole. Think On This... In the days before home electronics kids spent a lot of time outside playing on and with the earth kids played baseball, hop scotch, hide and seek, climbed trees, threw rocks, climbed on rocks, did cartwheels, from morning till night always touching the earth. Always full of energy, kids aren't energized like that so much today, could it be that they are not touching the earth anymore? and drill a hole in your rock, and tie with a black satin cord. These are sample necklaces no two rocks are the same. 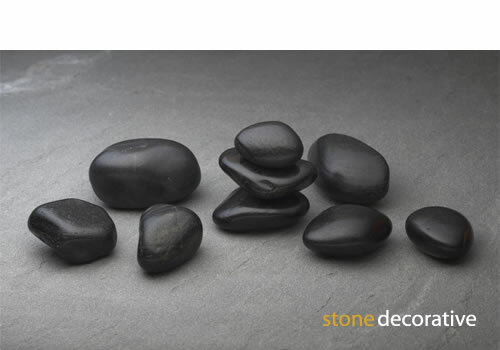 We pick the rock when you order.